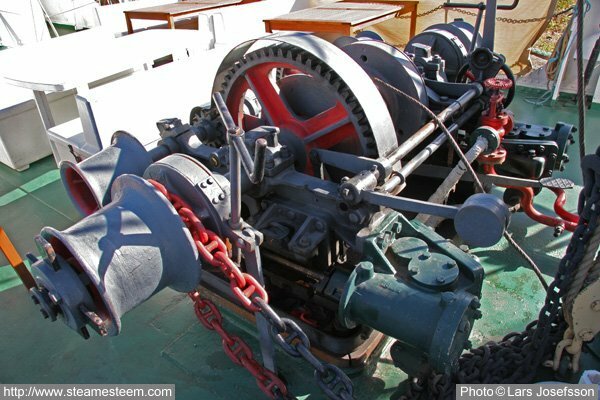 Combined steam driven windlass and winch aboard Steamship Polstjärnan. 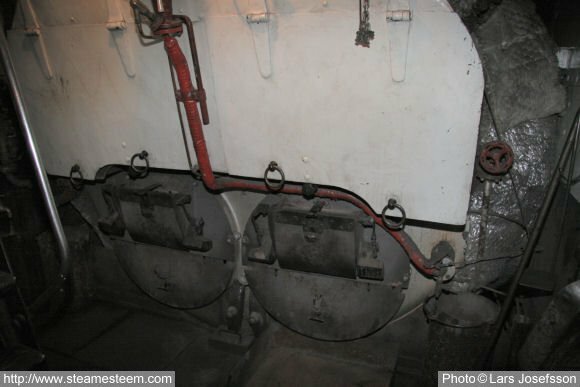 The Steamship Polstjärnan Scotch Marine Boiler with two furnaces. 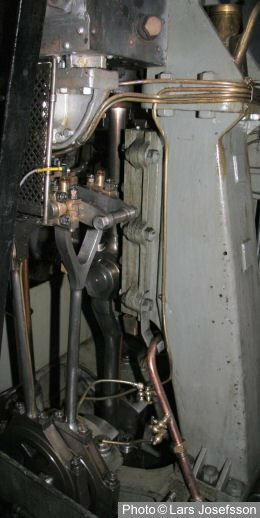 The picture to the left shows the eccentrics and their eccentric-rods for the Stephenson's link-motion. 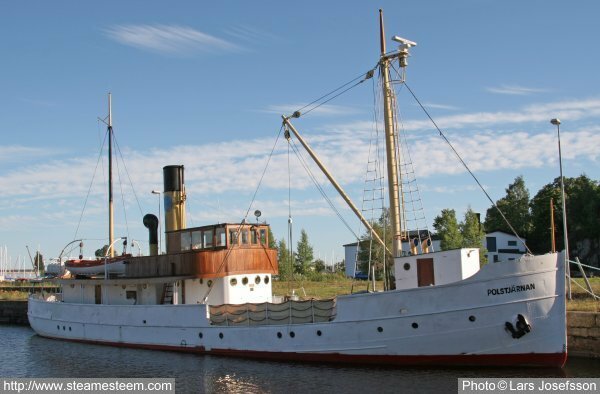 The Steamship Polstjärnanis built to sail in a lake and the feed water to the boiler is pumped from the lake and preheated before it enters the boiler.